Industry accreditation is a form of industry self-regulation. Through significant consultation and review, industry sets what they believe are the skill levels, qualifications, systems, procedures and experience that a business or individual within an industry should have to enable them to operate to an acceptable industry standard and preferably to an industry best practice standard. A well developed, administered and marketed scheme can have a significant benefit to both an industry and also the accredited business or individual. These benefits can flow through in the form of higher quality work and productivity, better overall standards, greater professionalism and profile. Industry accreditation is a prerequisite for a contractor to tender or quote in some industries. 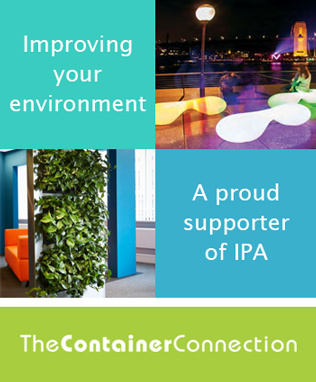 Interior Plantscape Association (IPA) developed and delivers its own high-quality accreditation program to raise the professional standards across the industry and recognises the importance of continued professional development. Association Accreditation is a transparent system for providing public confidence and accountability through a tool utilised for improvement in the “Interior Plantscape Industry” in Australia & New Zealand. IPA Membership is compulsory to achieve IPA Accreditation. Accreditation is a completely voluntary, non-governmental review process undertaken by Interior Plantscape Association (IPA) for the benefit of the public consumer and its members.